There’s smoke on the horizon. It’s so hot the air is thick and it’s hard to breathe. The bush surrounds you. Your beloved horse is in the stable and your dogs are trying to cool off inside. The radio crackles, announcing the towns that are under threat from the spreading fire — towns that are close by. 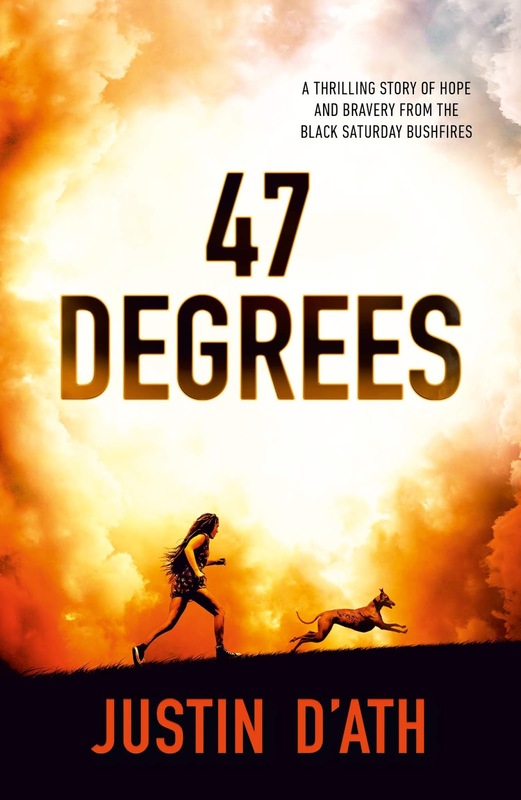 47 Degrees is a gripping story based around the Black Saturday bushfires that swept through Victoria, Australia, in 2009. Twelve-year-old Zeelie is with her dad at home in rural Victoria when the chaos begins. Her mother and brother are in Melbourne, and her Dad races to prepare the house for the deadly flames that could be headed their way. The family’s fire plan is to stay and defend their home, but as the flames creep closer and the danger increases, Zeelie and her dad will have to decide if they should keep fighting or try to flee. But with the flames so close, will escape even be possible? Have they left it too late? 47 Degrees is a story of loss, hope, family and community. It’s about making sacrifices to save the people you love and giving, even when you have nothing, to help your neighbour. At times slow and gentle, and at other times fast paced and action-packed, the story never lets you go. From start to finish, the characters, the setting and the plot pull you into a familiar world that could be yours — and was for so many families on that scary and heartbreaking day in 2009. As Australia swelters under a scorching sun this summer, 47 Degrees is a timely reminder that life, and weather, is unpredictable. It's a reminder that having a plan is important, but at the end of the day, you might have to throw that plan away to save the things you care about most. A gripping read. Highly recommended.